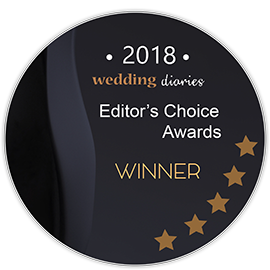 EDITOR'S CHOICE: We've handpicked the best Bendigo wedding reception venues and ceremony locations to help you find the right one for your big day. Love is in the air after your exciting engagement! Now, the wedding planning can truly begin. On top of the to-do list for the big day is finding the perfect place to exchange your meaningful ‘I dos’. For a city escape, a countryside retreat, and somewhere surrounded by the natural elements of the Australian countryside, Bendigo is a top wedding venue choice. Explore the list below and discover some true gems tucked away in this rustic town. In no particular order, here our the editor’s top picks for wedding venues in Bendigo. The intimate setting of this venue sets the scene for a romantic story to unfold. The private event venue will be all yours for the day, offering privacy to celebrate your love with your guests. There is an expert team of planners on hand to help with all the finer details. There are a range of indoor and outdoor spaces that can be tailored to your ceremony and reception needs. The lush lawns and brandishing gardens make for perfect photo opportunities. In terms of capacity, between 60 to 80 guests can join in the reception. The ceremony can host up to 240 guests standing so there is plenty of room! This is a unique venue that offers space for the entire day. Set amongst a flourishing winery, Chateau Dore is elegant at every turn. With green grasses outside for the ceremony and canape and drinks served on the lawn, you know the day is already off to a good start here. Heading inside, there is ample space for a large reception party to take place. The room offers flexible seating plans and the menu can be adapted to your tastes. From cocktail style events to high teas, everything is possible at this stunning venue. The venue is spacious and generous with outdoor seating. Included in the wedding package are 40 white folding chairs for the ceremony. Guests numbers and seating arrangements need to be arranged for the reception. Here is a classy venue that combines a rustic ambience with the stunning natural backdrop of Lake Weeroona. From polished floors to twinkling fairy lights, The Boardwalk is a venue that truly sets the mood for love. Throughout your wedding day, this venue will be all yours. There are flexible menu options available and drink packages to suit a range of budgets. The venue can host up to 200 guests for a cocktail style event or 100 guests for a sit down meal. Space is ample at The Boardwalk. The venue can accommodate 100 guests sitting down and over 200 standing up, so everyone can join in the celebration of love. This historic function centre has a range of exquisite building spaces for a romantic affair. Overlooking the Civic Gardens, this building has stunning interior and exterior architectural designs that will take your breath away. Both the Bendigo Town Hall, The Capital, and the Ulumbarra rooms can be transformed to a fairy tale space for an iconic reception. Each have historic columns and intricate designs which light up as the evening of love, speeches, dinner, and drinks commences. The number of guests and capacity size varies on room choice. Every couple who gets married here simply can’t deny the spectacular natural scenery that provides a photogenic backdrop. With quaint gardens and picturesque bridges throughout the outdoor space, you will be impressed with the photo opportunities. Sandy Creek Park Weddings is nestled amongst the banks of the Sandy Creek and lined with stunning red gum trees. The venue is private and intimate, offering a lovely intimate ceremony space. You will need to discuss the guest capacity during consultations to determine how many people the venue can accommodate. This is a close and personal wedding venue with fine details to capture the essence of each unique couple. Lynnevale Estate has a backdrop to please all tastes, from a ceremony by the fountain or paddock or vineyard. Throughout the ceremony, guests can enjoy drinks and canapes on the lawn. The happy couple can enjoy unique photo opportunities by the vineyard. Everything here can be tailored towards your individual taste and personality. Lynnevale Estate is an intimate venue. It can host up to 50 people seated for the reception or 90 people for a cocktail style event. There is plenty of space in the outdoor area for the ceremony. Offering sweeping views of lush vineyards and the natural wonders of the Australian bush, Balgownie Estate is a gorgeous winery wedding destination. There are a range of ambient spaces that can host the ceremony and reception to celebrate of your love. From the lush green lawn spaces to the oak wine barrel room, this venue is rustic and elegant in a unique way. There are also spaces for glamping for more adventurous couples. Anywhere you look here, you will find exquisite views of Bendigo and surrounds. The different spaces can host different numbers of guests, starting from 60 guests. There are flexible seating plans available. Located an easy 10 minutes from Bendigo’s city centre, Pratty’s Patch is a historic stone building with charm all around. This is an intimate venue, hosting up to 80 guests for the reception. Here you can enjoy fine catering, either indoors in the cosy building or outdoors in the manicured gardens. There are ample opportunities for impressive photo and keepsakes. Wedding packages come with a range of delicious menus made from fresh and local ingredients. Drinks packages are also available. Since you’ve come reading this far, here are 2 more gorgeous wedding venues in Bendigo! The fresh countryside air will bring a smile to your face as you soak up the chance to relax during the wedding planning! This venue is all relaxation as the professional staff on hand create a stress free process. With the natural backdrop of the beautiful gardens to the finer details of the ceremony, you don’t need to worry about a thing at Ravenswood Run. The converted stables make for a unique vintage space to hosts your guests in an unforgettable reception. Between 80-160 guests can fit in the space sitting down. Standing, up to 250 people can help celebrate your love. This is a venue that is a true all rounder. The Bendigo Club can host a wide array of wedding ceremonies and receptions, from afternoon affairs to dinner events. The lush surrounds and the outdoor spaces make room for many guests to take part in celebrating your love. A dedicated events team will be on hand to make sure you get exactly what you want out of your day. They are sure to tailor the day to your specific needs and match your personality as a couple. The venue has had recent renovations and is fresh for the wedding season. Up to 250 guests can be accommodated here for both the ceremony and reception. In such a beautiful part of the world, there is no shortage of stunning wedding venues in Bendigo. This is a region where you can truly embrace the authenticity of the Victorian countryside and find unique charm in the gorgeous buildings. Couples who tie the knot in Bendigo rave about the spectacular scenery and the welcoming vibe of the locals. It is a perfect weekend getaway style wedding. Bendigo also makes for a great anniversary holiday choice to remember the special day each year. Hopefully this list of venues has provided inspiration for your wedding day. These venues are filled with love and charm at every corner, ready for you to start the next most important chapter of your life. The fourth largest city in Victoria is Bendigo (with Melbourne, Geelong & Ballarat being the 3 biggest). It is home to the beautiful Greater Bendigo National Park, Bendigo Regional Park, and Canterbury Park, as well as the Spring Gully Reservoir, Lake Neangar, Crusoe Reservoir, and Sandhurst Reservoir. Bendigo Creek also runs through the city and region. The gorgeous country region is known for its many architectural gems, including Sacred Heart Cathedral and Bendigo Tramways (where you can ride a vintage tram—what a great wedding and bridal photography location). The Bendigo Botanic gardens, various vineyards, and many parks are also very nice for wedding photography. The city of Bendigo is ideal for outdoor garden or country wedding ceremonies, and the beautiful historic buildings make for fantastic wedding reception venues, with the gorgeous architecture serving as a great backdrop for your photos and the guests’. Most of the wedding venues in Bendigo will be on vineyards, estates, or in historic buildings with gorgeous architecture from the late 1800’s. We love the Bendigo Art Gallery, Balgownie Estate, Bendigo Town Hall (absolutely stunning architecture), and the Chateau Dore Vineyard. Prices for wedding venues in Bendigo vary greatly, but can be as low as $51 per head, although most venues will average about $100 per head plus venue hire fees, taxes, gratuities, catering, décor, and so on. The average wedding in the state of Victoria costs about $15,000. Bendigo is located about 2 hours drive from Melbourne by car (~150 km), and 2.5 hours away by train. There is an airport in Bendigo, but there are currently no commercial flights in or out of Bendigo. For your international and out-of-state guests, we recommend hiring a shuttle or charter bus from Melbourne or providing information for rental cars, trains, and other means of transportation. Hotels in the Bendigo area range from $50 – $130 AUD, so there are plenty of affordable options for you and your weddings guests. Don’t forget to ask for preferential rates and/or free wedding night suites when booking a hotel block! The Hotel Shamrock is one of our favourites, and is located in a beautiful, historic area of the city and sports gorgeous 19th century architecture with renovated rooms ($128 per night). 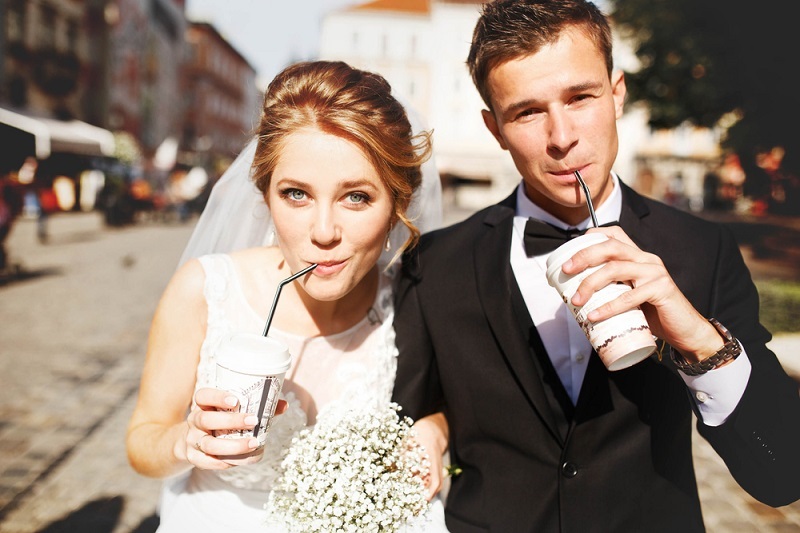 In general, most couples tend to secure wedding dates in the warmer months. If you are also planning on getting married in the summer, we suggest looking for November to March wedding dates in Bendigo. October and April are also nice, but a little cooler, especially at night. For those couples who want to avoid colder temperatures, you want to avoid the months of June to August. These months also generally have more precipitation, with August being the most rainy of them all (10 days of rain, on average), so if you are planning on having a winter wedding, you should look at indoor ceremonies. For spring and summer weddings as well, we recommend having a plan B or inclement weather back-up.